100% new high quality TPU keyboard cover for Microsoft Surface Laptop (2017) & Surface Book & Surface Book 2. Prefect fit for Microsoft Surface Laptop (2017 Released) & Surface Book & Surface Book 2, Soft-Touch & Precision Fit Keyboard. Russian / English AQUA Silicone Keyboard Cover Skin for Macbook Pro 13" 15" 17"
100% fit for ALL the latest Macbook including Every key is individually molded andRussian / English letter printed on ultra slim soft silicone keyboard cover. 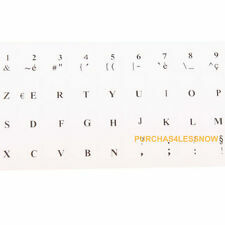 100% new High QualityRussian/ English Language keyboard silicone cover. 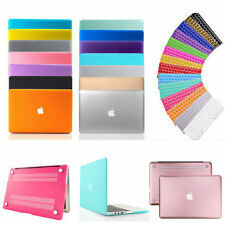 100% new High Quality keyboard silicone cover for Latest Macbook Air 11". Macbook Air 11". Other color keyboard skin Color Wireless Mouse. Preprint keyboard button on the cover. LCD Screen Protector. Searching for Video Adapters. 100% new high quality keyboard silicone cover for Macbook. Other color keyboard skin Color Wireless Mouse. Preprint keyboard button on the cover. Using durable silicone to make sure comfortable when you type. Arabic / English WHITE Silicone Keyboard Cover for Macbook Pro 13" 15" 17"
100% fit for ALL the latest Macbook including Every key is individually molded andArabic/ English letter printed on ultra slim soft silicone keyboard cover. 100% new High QualityArabic/ English Language keyboard silicone cover. 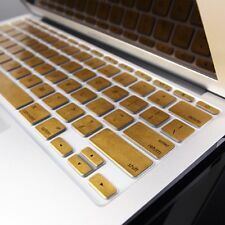 METALLIC GOLD Keyboard Cover Skin for Macbook Air 13"
100% new High Quality keyboard silicone cover for Latest Macbook Air 13". Macbook Air 13". Other color keyboard skin Color Wireless Mouse. Preprint keyboard button on the cover. LCD Screen Protector. 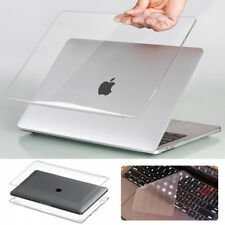 100% new High Quality keyboard silicone cover for Latest Macbook Air 13". Macbook Air 13" Only. Other color keyboard skin Color Wireless Mouse. LCD Screen Protector. Searching for Video Adapters. 100% fit for the latest. Macbook whtie 13 unibody" /Macbook Pro aluminum unibody 13" 15" 17" and also the Wireless Keyboard. 100% new High Quality keyboard silicone cover for Latest Macbook. Searching for all different color keyboard skin. Also prevents permanent stains from embedding into the LCD screen. LCD Screen Protector. Other color keyboard skin Color Wireless Mouse. Includes Screen Protector and a Lint-free Cleaning Cloth. Reduces 99% of UV emission from the LCD screen which greatly reduces eye fatigue. 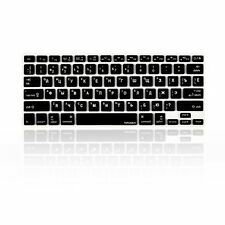 Perfect fit for NEW Apple Magic Keyboard MLA22LL/A, US Keyboard Layout ONLY. Keyboard cover is ultra slim to allow closing of your laptop and for comfort typing. Keyboard Cover Other Accesories. Optical Wireless Mouse Chevron Canvas Bag. Keyboard cover is ultra slim to allow closing of your laptop and for comfort typing. Keyboard Cover Other Accesories. LCD Screen Protector. Easy to apply and remove for cleaning/disinfecting. Individually molded keys for perfect fit; all keys are preprinted with letters/numbers. Perfect fit forMacbook Air 11" Model: A1465 ONLY, not compatible with old version A1370 from late 2010 to Mid 2011(July). Other color keyboard skin Color Wireless Mouse. Unique design perfectly fit with your keyboard. Keyboard cover is ultra slim to allow closing of your laptop and for comfort typing. Keyboard Cover Other Accesories. Optical Wireless Mouse Chevron Canvas Bag. Compact Sleeve Bag. Perfect fit for theMacbook Pro 13" Model A1708 (RELEASE 2016). Keyboard cover is ultra slim to allow closing of your laptop and for comfort typing. Keyboard Cover Other Accesories. Optical Wireless Mouse Chevron Canvas Bag. Arabic / English SILVER Silicone Keyboard Cover for Macbook Pro 13" 15" 17"
PINK Silicone Keyboard Skin Cover for OLD Macbook 13"
Searching for Macbook Keyboard Silicone. 100% fit for the OLDER Macbook white 13" A1181 only. 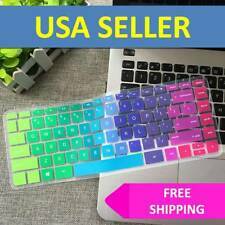 100% new High Quality keyboard silicone cover. Using durable silicone to make sure comfortable when you type. Optical Wireless Mouse Chevron Canvas Bag. Keyboard cover is ultra slim to allow closing of your laptop and for comfort typing. Keyboard Cover Other Accesories. Compact Sleeve Bag. Enfin LE silicone AZERTY pour QWERTY sans fautes ! US layout (Touche entrée rectangulaire) en AZERTY avec accents. Compatible Macbook Air 13"; Macbook 13" (plastique blanc ou aluminium unibody) & Macbook Pro 13", 15" et 17". Keyboard cover is ultra slim to allow closing of your laptop and for comfort typing. Keyboard Cover Other Accesories. Optical Wireless Mouse Chevron Canvas Bag. Compact Sleeve Bag. LCD Screen Protector. Red Quatrefoil Keyboard Skin Cover for Macbook Pro 13" 15" 17"/ New Air 13"
Other color keyboard skin Color Wireless Mouse. 100% new high-quality TPU keyboard cover. Preprint keyboard button on the cover. Compare to Silicone,TPU Material is much thinner and higher transparent. Wood Texture Keyboard Cover Skin for Macbook Pro 13" 15" 17" / New Air 13"
Latest DesignWood Texture keyboard cover skin gives you a classical elegance style look. Keyboard cover is ultra slim to allow closing of your laptop and for comfort typing. Keyboard Cover Other Accesories. Russian /English WHITE Silicone Keyboard Cover Skin for Macbook Pro 13" 15" 17"
Compatible Macbook Air 13"; Macbook 13" (plastique blanc ou aluminium) & Macbook Pro (aluminium) 13", 15" et 17". 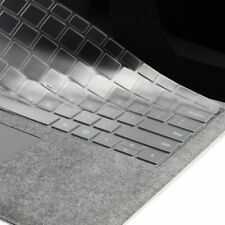 (pour les macbook air 11" vous pouvez découper la 1er et dernière ligne du clavier au ciseaux). Tastatur Schutz Keyboard Protection für Macbook Air Pro Retina 13" 15" 17"
100% new high quality keyboard silicone cover forLatest Macbook. 100% fit for the 1st Generation Macbook White. Other color keyboard skin Color Wireless Mouse. Preprint keyboard button on the cover. Using durable silicone to make sure comfortable when you type. Prefect fit for ALL Latest Macbook ( Macbook Pro 13" 15" 17", Macbook Air 13", Macbook White) with or without Thunderbolt. Compare to Silicone, TPU Material is much more thin and higher transparent. CaseBuy Rose Gold Keyboard Protective Film for MacBook 12" & New MacBook Pro 13"